The Viburnum Trend Lead Haul Roads site (Site) is comprised of dozens of miles of roadways in multiple counties in Missouri that have been contaminated with lead ore and concentrate. Although the haul roads extend to Herculaneum and Cape Girardeau, Missouri, the boundaries of this Site have been confined to Reynolds, Iron and Dent Counties for the purpose of this removal action. This Site does not include residential properties within and near the city of Viburnum, which are part of another operable unit within this Site called St. Joe Minerals - Viburnum. 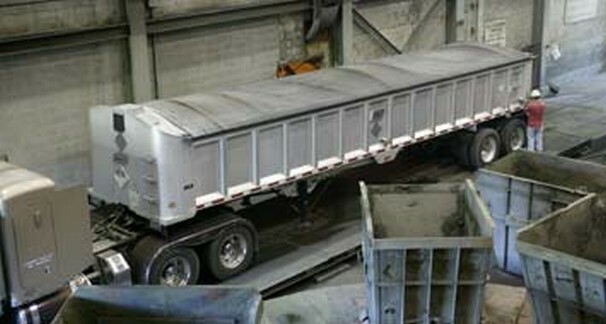 From approximately 1959 to the present, lead ore and lead concentrate have been hauled along public roadways in dump trucks. The ore is typically hauled from the mines to the concentrators (also known as mills) where it was formed into lead concentrate. Lead concentrate at the Site has been derived from the physical concentration of lead sulfide ore; lead concentrate is typically 70 to 80 percent (700,000 to 800,000 ppm) lead sulfide. Lead concentrations above health-based risk levels have been found in residential yards, as well as properties defined as "Child High Use Areas" (CHUAs). Approximately 150 residential properties or CHUAs have been identified as containing soils above the health-based risk level of 400 ppm lead at the Site.